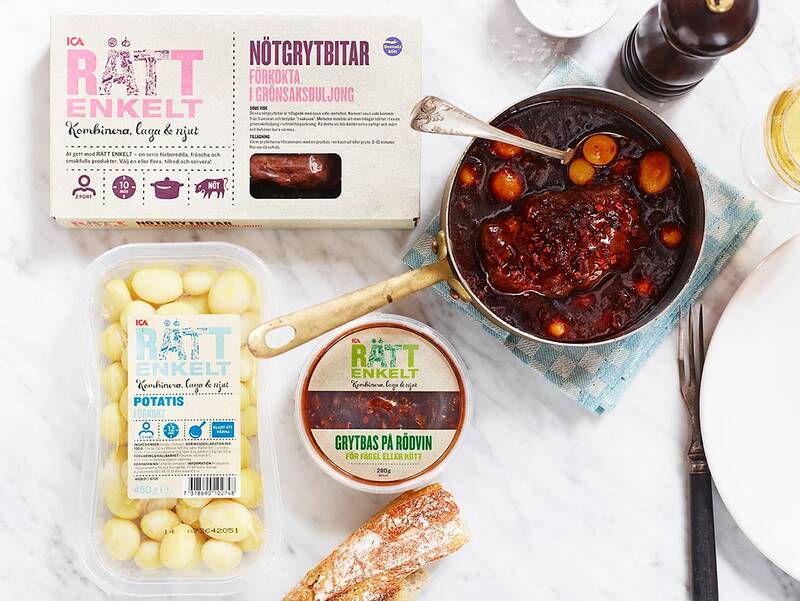 Together with ICA, Sweden’s largest grocery chain, we took part in the development of Rätt Enkelt. 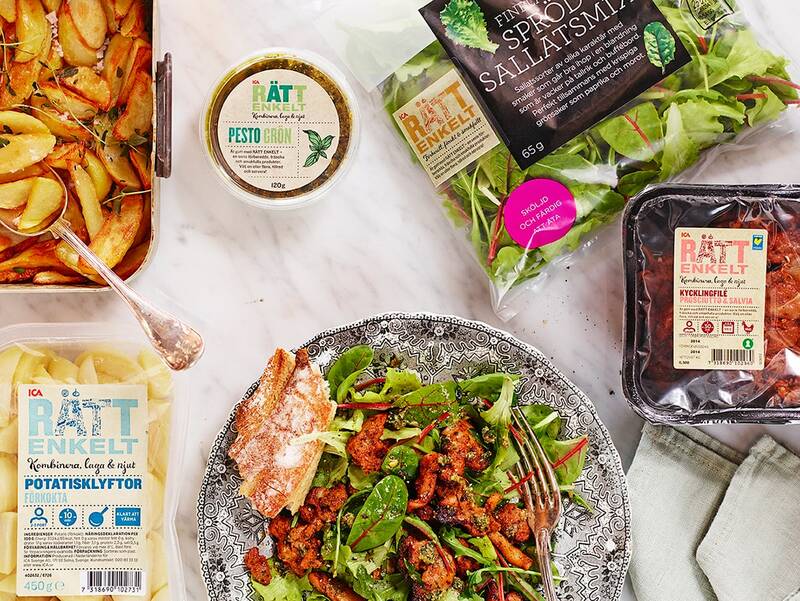 A food range where you are able to compose a well cooked meal based on different versions protein, cordon hydrates, vegetables and flavouring. The meal can be prepared in 5-30 minutes. Customer research show that many people today have less time to cook food, at the same time there is an interest in eating well and not semi-manufactures food. Rätt Enkelt is adapted to two persons and offer you a possibility to combine you own meal and quickly prepare a well made meal. To get real insight about customers’ perception of the concepts we talk to them in the environment they make their food purchases – the store. We evaluated the concept, price, content and customers’ understanding of the in-store presentation.